Berlin, 1 September 2017. In one of the most intense and exciting fortnights in its history, the Baltic Sea Philharmonic completed not one, but two international tours in August. In the space of just eleven days, the orchestra, which comprises leading young musicians from the ten countries surrounding the Baltic Sea, performed for 11,000 people in seven cities. The ‘Baltic Folk’ tour took the ensemble first to Visby, on the Swedish island of Gotland, where on 19 August Kristjan Järvi, Founding Conductor and Music Director, conducted the opening performance of a folk-inspired programme of music by Pärt, Rachmaninoff and Stravinsky. ‘Baltic Folk’ continued with sold-out concerts at the Rheingau Music Festival in Wiesbaden, Germany (20 August) and the Merano Music Festival in Merano, Italy (23 August). 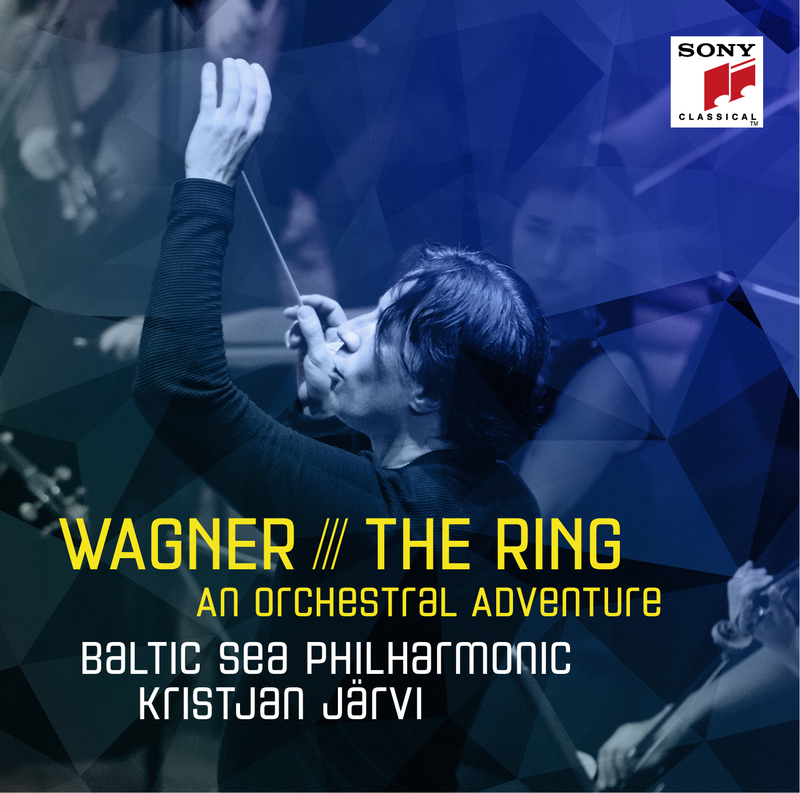 The Baltic Sea Philharmonic and Kristjan Järvi then returned to Germany to resume their groundbreaking ‘Waterworks’ tour, which they had begun in May with concerts in Hattingen, Germany, and Copenhagen and Aarhus in Denmark. A spectacular fusion of music, light, visual art, sound design and fashion, ‘Waterworks’, which featured original arrangements of Handel’s Water Music and a new orchestration of Philip Glass’s Aguas da Amazonia, thrilled audiences in the sold-out Berlin Konzerthaus (25 August), the sold-out Peenemünde Kraftwerk (26 August), the open-air concert in Lutherstadt Wittenberg (27 August) and the sold-out Elbphilharmonie in Hamburg (29 August). Livestreams of the ‘Baltic Folk’ concert in Wiesbaden and the ‘Waterworks’ concerts at Berlin’s Konzerthaus and Hamburg’s Elbphilharmonie are still available online. One of the highlights of the ‘Baltic Folk’ tour was the orchestra’s performance, at all three concerts, of Stravinsky’s The Firebird, in its 1945 orchestral suite version. In a world first, the musicians played the score without sheet music, entirely from memory. With its ‘Waterworks’ tour, the Baltic Sea Philharmonic introduced a radical new style of performance presentation, combining music with cutting-edge lighting design, projection art and sound design. A 14-strong team from Sunbeam Productions, including lighting designer Bertil Mark, projection artist Philipp Geist and sound designer Ruben Ferdinand, transformed the musical performance into a fully immersive concert experience. The musicians also sported an exciting new look for ‘Waterworks’, courtesy of a clothing collaboration with Estonian fashion house Baltika Group. Designers from Monton, one of Baltika’s five international brands, created 13 different outfits for the men, and nine different outfits for the women, all of which were styled to reflect the water theme of the concert programme. The Baltic Sea Philharmonic welcomed an impressive range of musical partners for its tours in August. For ‘Waterworks’, three members of the New York-based Absolute Ensemble – trumpeter Charlie Porter, bassist Mat Fieldes and percussionist David Rozenblatt – were embedded in the orchestra. Russian-born violinist Mikhail Simonyan was the featured soloist in Philip Glass’s Violin Concerto No. 2 ‘The American Four Seasons’. For the final ‘Waterworks’ concert, at Hamburg’s Elbphilharmonie, the orchestra collaborated with the girls choir Mädchenchor Hamburg for a special encore performance of Arvo Pärt’s Kuus kuus kallike (Lullaby Song).